GOVERNING LAW: The rights and obligations of the user shall be determined by this Agreement under laws of the state of Florida. Any future invoice arising from use, setup implementation, the sale of equipment to the user shall be governed according to the laws of the State of Florida. The United Nations Convention on contracts for the International Sale of Goods shall not apply to any future invoice. LIMITED RIGHT TO USE: The right to use the site and the software in the site is granted specifically on a temporary per user basis. Only one user is allowed per a user ID number granted. The user ID initially provided by BH will be utilized as a temporary right to use. Only one user is allowed to access the system per a user ID. A company in need of additional user Id's may opt to purchase additional user Id's from BH. Should a user be aware of any unauthorized user or account accessing the site, then user must immediately inform BH of the same. COPYRIGHT & TRADEMARKS: The content of this site; audio, animation, design, graphics, organization, video, compilation, magnetic translation, digital conversion, intellectual property and other matters related to the site are protected under copyright, trademarks and other applicable proprietary rights. The copying, re-distribution, use or publication by the user of any matters, content as indicated above or any part of the site is strictly prohibited. The user does not acquire any rights of ownership to any content documents or other materials viewed through the site. Posting information on the site by the user does not constitute any right of ownership of the site or the information therein. The logos, trademarks and service marks (“MARKS”) displayed on this site or any of the BH web sites are the sole property of BH or other third parties. The user is not permitted to use, copy, list, or advertise the MARKS of Profit SOS or such third party without the express written consent of BH. All trademarks are the property of their respective owners. NUMERICAL VALUES: Numerical values calculated in the system will be rounded of based on the third digit decimal as follows; if (a) the third decimal digit in a number is from five to nine then the second decimal will be rounded to the next highest number; (b) if the second decimal in a number is between a one and four then the second decimal will be rounded of to the next lower number. Example: (a) if the real price is $97.846, the system will round it to $97.85; (b) if the real price is $97.844, the system will round it to the next lower number $97.83. EDITING, DELETING, MODIFICATION: You may not misuse the services of the site for any purpose other then what is it's intended use, do not interfere with the services provided in the site or try to access them using a method other than the interface and the instructions provided. The site and the services may only be used as permitted by law, including applicable export and control laws and regulations. BH may suspend or all together stop providing services to you if you do not comply with the terms or policies of the site. BH reserves the right at its sole discretion to edit, delete, any documentation, information or other content appearing on the site. User agrees that when user uploads or submits content to the site or any of the other services offered by BH, user acknowledges the that user has the required rights and ownership of the content and is thereby giving BH a limited license and right to use, reproduce, modify, host adapt, create derivative works from the content submitted, unicate with and display the information publicize, publish, comm, in multiple forms, original and formatted to accommodate BH’s software requirements, BH’s promotional use and BH’s growth and expansion through use. User further agrees that after termination of the service or use of the site by user, the information submitted, uploaded by user to the site, may be used by BH. In an effort to improve,expand the software and services offered by BH, BH may delete, add , edit, any part of the systems as it sees fit from time to time while making the best effort to preserve all the information uploaded or submitted by user. BH will provide user advance notice with the ability to remove user's information prior to such changes. This Agreement is subject to such modifications, changes, and/or additions as may be required by BH, state, federal, international laws. As a result, the Agreement may be changed or updated regularly by BH to reflect new requirement, enhancement and changes. User should review the Agreement regularly in order to understand those changes. If at any time user is not in Agreement with the changes in the Agreement, user should discontinue the use of the site. If there are any inconsistencies between the terms posted in this Agreement and the new terms to be implemented, then the new terms shall supersede the current terms of the Agreement to the extent of the inconsistency of the Agreement. Such modifications,changes, and additions may be made unilaterally by BH. LIMITATION OF LIABILITY: The cumulative aggregate liability losses, claims, suits, controversies, breaches or damages for any cause whatsoever and regardless of the form of action or legal theory will be limited to the actual, direct, out-of-pocket expenses that the user has incurred for use of the site for a month's period and in no case will it be more than two hundred US dollars. The information provided on the site is provided in an “as is” basis, “as available” The information Limitation of Liability and service may contain “error”, “bugs”, limitations, issues in compatibility and other limitations. User agrees to use the BH software, hardware without holding BH liable any way or form for any “error”, “bugs” or issues which may arise due to the lack of functionality of the software. User agrees that BH will at no time be liable for “bugs” or incidental or consequential damages, including damages for loss of business, loss of profits, litigation or the like, weather based on breach of contract or breach of warranty, tort product liability or otherwise. TERMS OF SERVICES AND TERMINATION: Term of This Agreement commences on the date You first accept it and continues until all subscriptions hereunder have expired or have been terminated. The term of each subscription shall be as specified in the applicable easy ACH or Profit SOS application Form. Except as otherwise specified in an Order Form, subscriptions will automatically renew for additional periods equal to the expiring subscription term with a minimum of one year or a s otherwise indicated in the applicable form. (whichever is longer), unless either party gives the other notice of non-renewal at least 60 days before the end of the relevant subscription term. The pricing during any automatic renewal term will be the same as that during the immediately prior term unless we have given you written notice of a pricing increase at least 60 days before the end of that prior term, in which case the pricing increase will be effective upon renewal and thereafter. Any such pricing increase will not exceed 10% of the pricing for the applicable purchased service or content in the immediately prior subscription term, unless the pricing in the prior term was designated in the relevant Order Form as promotional or one-time or special pricing..A party may terminate this Agreement for cause (i) upon 30 days written notice to the other party of a material breach if such breach remains uncured at the expiration of such period, or (ii) if the other party becomes the subject of a petition in bankruptcy or any other proceeding relating to insolvency, receivership, liquidation or assignment for the benefit of creditors. If this Agreement is terminated by Us in accordance with this Section, You will pay any unpaid fees covering the remainder of the term of all Order Forms. In no event will termination relieve You of your obligation to pay any fees payable to Profit SOS for the period prior to the effective date of termination upon request by you made within 30 days after the effective date of termination or expiration of this Agreement, We will make your data available to You for export or download as provided in the documentation. After that 30-day period, We will have no obligation to maintain or provide your data, and will thereafter delete or destroy all copies of your data in our systems or otherwise in your possession or control as provided in the documentation, unless legally prohibited. DOCUMENTATION, IS DISCLAIMED (B) IMPLIED WARRANTY ARISINGFROM COURSE OF PERFORMANCE, COURSE. INDEMNIFICATION: BH shall have no duty to defend, indemnify, or hold harmless User from and against any or all damages and costs incurred by user arising from the infringement of patents or trademarks of the violation of copyrights related to any products. User agrees to defend, indemnify and hold harmless BH and its directors, officers, and shareholders from any cost, liability, claim, action, demand, expense or loss (including court costs and reasonable fees of attorneys and other professional fees incurred by BH) with respect to any claim or suit by any third party including federal and state taxing authorities arising out of or in connection with, in whole or in part, (I) any alleged defect in material or workmanship of any equipment sold or service offered by user; (II) any alleged act, or misrepresentation by user regarding the Services, (III) any alleged violation of any statute, injury or property damage arising out of or resulting in any way from ordinance or regulation or breach of this Agreement or any warranty herein, (IV) any personal or bodily federal or state taxes, workers' compensation insurance or claim. Use of the Services, or (V) any liability for user's failure to pay any. HARDWARE: The equipment loaned, sold, leased or rented to the merchant is the merchant's responsibility while in the merchant's possession. Failure to properly maintain the equipment may result in repair fees and or additional set up requirements of software for the units/stations proper operation. Additional set ups required due to merchant's failure to properly maintain the units/stations, merchant's alteration of programming in the equipment or merchants lack of available connectivity to a working internet line or the merchant's desire to add service to their account which require other set ups, will result in an additional fees per terminal. If additional service is required; programming, after-hours support, training new staff, emergency on site support, beyond the regular service offered, then the customer will be charged seventy five dollars per hour for the work performed. Return of equipment purchased requires an RMA number provided by Profit SOS. A 35% restocking fee plus shipping, handling and program services rendered charges will apply. FORCE MAJEURE: Notwithstanding anything else in this Agreement, no default, delay or failure to perform on the part of either party shall be considered a breach of this Agreement, if such default, delay, or failure to perform is shown to be due to causes beyond reasonable control of the party charged with a default, including, but not limited to, causes such as strikes, lockouts or other labor disputes, riots, civil disturbances, actions or inaction's of governmental authorities or suppliers, epidemics, war embargoes, severe weather, fire, earthquakes, acts of God or the public enemy, nuclear disaster, supplier delay, or default of a common carrier. INVALID PROVISION: In the event that any provision of this Agreement is found to be invalid or unenforceable by a court of competent jurisdiction, the parties shall substitute an enforceable provision, which is as close as reasonably possible to the purpose and economic consequence of the deleted provision, having industry standards applied. ENTIRE AGREEMENT: This Agreement, together with supplemental Agreements, constitutes the entire Agreement between the BH and the user pertaining to the subject matter contained in it and supersedes all prior and contemporaneous Agreements, representations and understandings of the parties. No waiver of any of the provisions of this Agreement shall be deemed or shall constitute, a waiver of any other provision, whether or not similar, nor shall any waiver constitute a continuing waiver. No waiver shall be binding unless executed in writing by BH. GENERAL CLAUSES AGREEMENT RESTRICTIONS: The Agreement is subject to any local, State, Federal laws, regulations, orders or other restrictions as established by BH, governmental authorities or from the United States, which may be imposed from time to time by the government of the United States or agencies thereof. ENFORCEABILITY: Should any provision of this Agreement be held by a court of law to be illegal, invalid, or unenforceable, the legality, validity, and enforceability of the of this Agreement shall not be affected or impaired thereby. WAIVER: The failure to enforce any of the terms and conditions of this Agreement shall not constitute a waiver of BH’s right thereafter to enforce remaining provisions each and every term and condition of this Agreement. CAPTIONS AND HEADINGS: The parties agree that the Section and/or paragraph captions and headings used in this Agreement are for reference purposes only and shall not be used in the interpretation of this Agreement. ASSIGNMENT: This Agreement is not transferable or assignable by user. Any attempt to assign the rights, duties, or obligations under this Agreement, shall be cause of termination of this Agreement and the user’s right to use the software. BETA TESTING: You acknowledge that, in the course of using and accessing the service, you may obtain or develop information relating to the site, the beta products, the beta websites and/or to Profit SOS ("Confidential Information"), including, but not limited to the site, beta products, beta websites, technology, algorithms, schematics, testing procedures, user interface, documentation, problem reports, analysis and performance information, inventions (whether patentable or not), and other technical, business, marketing, financial and customer information, plans and data. During and after the term of this Agreement, you shall hold in confidence and protect, and shall not use (except as expressly authorized by this agreement) or disclose, Confidential Information, unless such Confidential Information becomes part of the public domain without breach of this agreement by you. You shall not, without the prior written consent of BH, disclose or otherwise make available the site, beta products, beta websites, documentation or other supporting materials, including any information relating to the performance or operation of the site (including any testing results, opinions, benchmarking or other evaluation conclusions), or copies thereof to any third party. 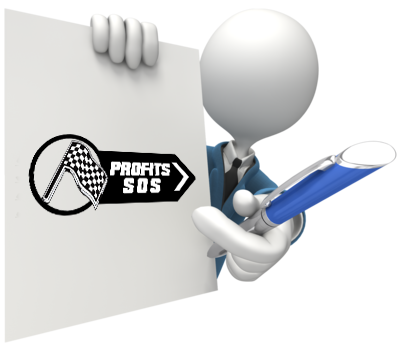 PROFIT SOS secures terminals to prevent other processing companies from integrating into hardware for all ISO’s participating in program. STORAGE SPACE: Each store utilizing the software is allotted five hundred Megabytes of cloud storage space in the base price which can be used for document storage, pictures, text. Each additional slot of five hundred megabytes of space will be charged at a rate of ten dollars per a month per store for each additional slot of space used.